Triple Freestanding Monitor Stand for Widescreen Monitors Up to 24"
Fits most flat panel monitors from 13" to 24". Supports up to 22 lbs per monitor. Height adjustable. 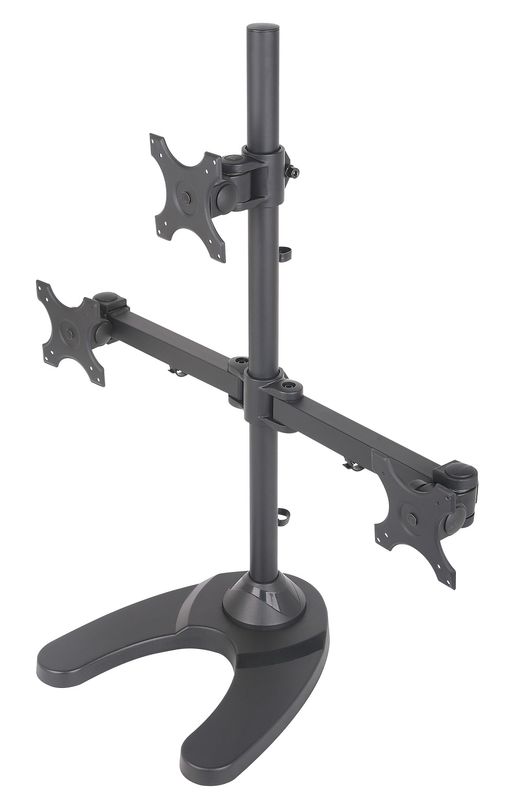 Each monitor arm can articulate in two different locations for best positioning. Heavy duty weighted metal base ensures stable mounting onto the desk.